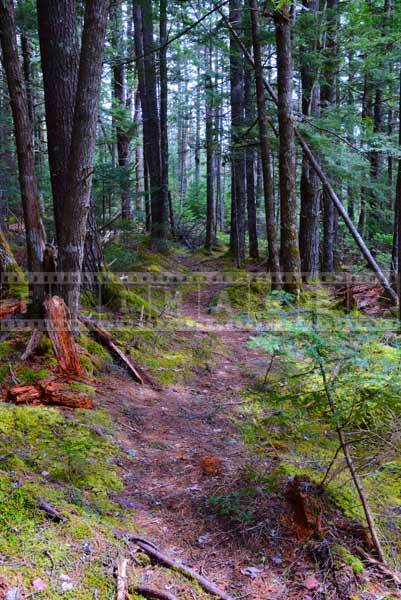 Hiking trail to Dawson Brook Falls starts as the gravel road for couple of hundred yards and then you have to keep right at the fork. The hiking trail is marked with red ribbons. Plan a trip and prepare well, there could be lots of wet spots and mud before you reach the steep bank of the river. 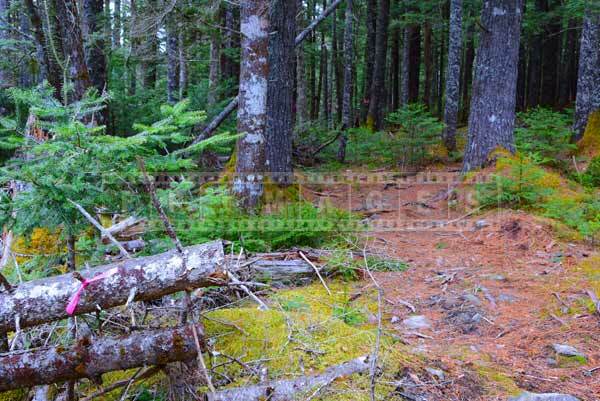 Nova Scotia forest is fairly sparse in this area with large pine trees. 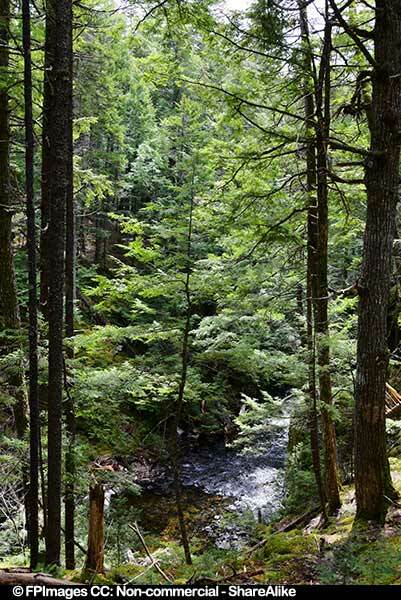 Be careful when you reach Dawson Brook – the banks are very steep and soil may be slippery. 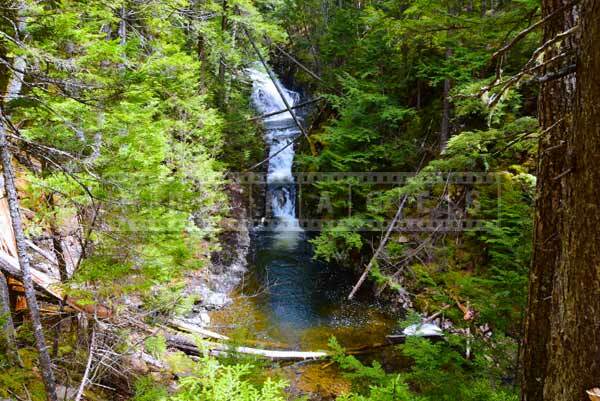 Nova Scotia hiking trails with waterfalls are the best in the spring and early summer. 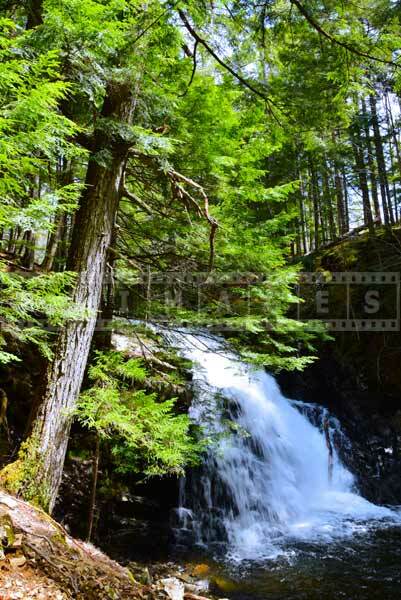 This is the time to enjoy the waterfalls and forest landscape. 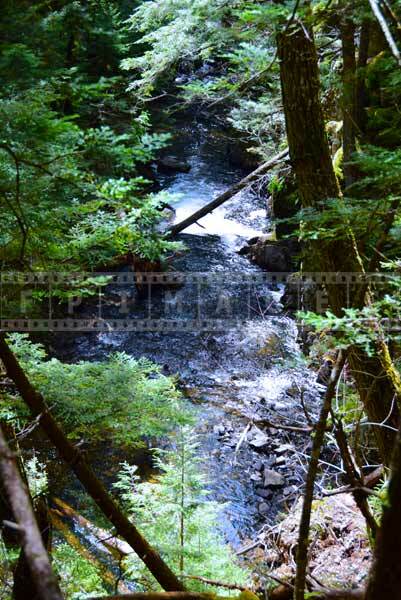 In late spring and early summer rivers and brooks are full of water and flow fast. 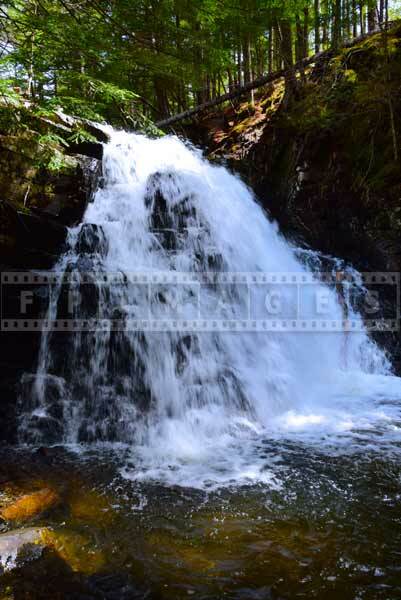 Waterfalls are dramatic this time of year in Nova Scotia. The weather is not too hot either and just about right for outdoor adventures and hiking trails. When you plan a trip, take a good waterproof bag for the camera and cleaning cloth for the lens. It is easy to get dust and sometimes moisture onto the lens when hiking especially near the waterfall. 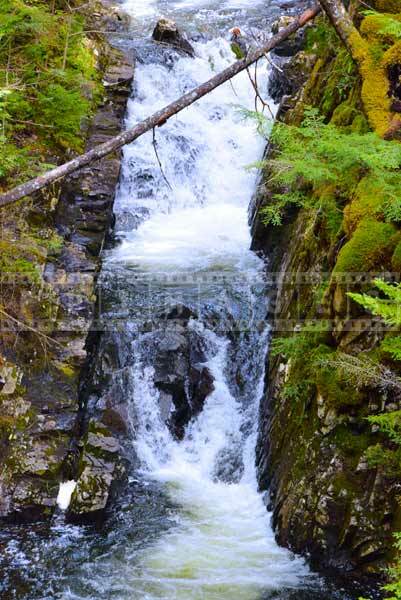 Great water images and nature pictures start with preparation at home and careful execution at the location. 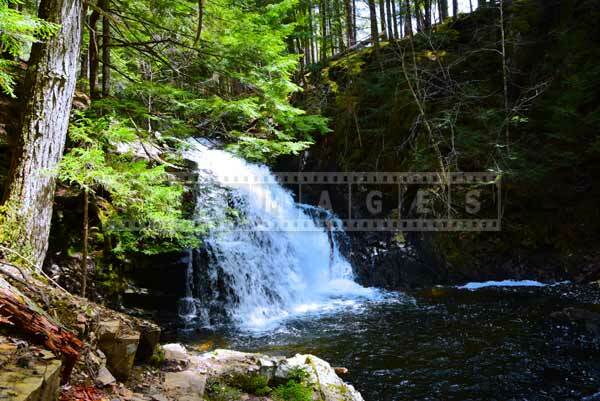 Nova Scotia has many hiking trails with waterfalls, enjoy outdoor adventures in this province and take some great memories with you – waterfall and nature pictures. 3. Use wide angle lens and move closer to the waterfall. 4. For motion blur set slow shutter speed, use tripod. 4. Look for patterns and rhythms, strong lines, remember to experiment with black and white photos.